Pearland Locksmith Pros is your top local locksmith company. We offer complete locksmith service at competitive prices for commercial properties, residential properties and vehicles. Our 24/7 locksmith service is available for the entire Pearland, TX area and the surrounding. We are known for our quick response times in your time of need and our experienced technicians are prepared to assist with any locksmith emergency. We are also licensed, bonded and insured so you don’t have to worry about getting the best service. We are committed to providing reliable, quality service at competitive prices for all residents and businesses in the Pearland area. Call us today for a free estimate on any locksmith service (713) 955-1447. Pearland Locksmith Pros provides complete automotive locksmith services. No matter the year, make, or model of your car, we can open, install, replace, or repair any of its locks, replace your keys or install or repair the ignition. 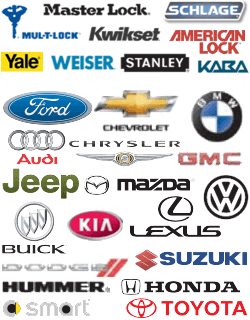 When you need service for a car lockout, broken car key, key extraction, duplication, car key programming, or replacement of transponder keys, key cutting and copying of car keys, trunk unlocking, or any other problem you have with the locks on your vehicle. Our locksmith Pearland TX team is local and we know Pearland and the surrounding areas. This way we can reach your location quickly. Whatever your auto locksmith needs, we are the only complete locksmith service you need. No matter what home lock, door or security issue you have, Pearland locksmith Pros‘ expert technicians are trained and equipped for all residential locksmith services. We can install, replace or repair any type of lock you might have or need. Your home doors and locks are important and we understand that you require the very best in quality and service. Our goal is to make sure your home is secure. We can also provide a security assessment for your home and advise you on the best locks for your needs. Don’t leave the safety of your family and property in just anyone’s hands. Give us a call. We are mobile locksmiths with over 5 years of experience each and are available 24/7 to service lockouts, rekey locks, copy keys, replace keys, or take care of any other type of problems you have with your locks. Contact us today for our residential locksmith service. Having the locks in your business working properly is very important. Those locks are essential to protect your staff and your valuable assets. We offer complete locksmith service provided by expert locksmiths with all the latest and best tools and hi-tech equipment. Our services are fast and affordable and we do the job right. We offer a wide range of commercial locksmith services including: lock installation, lock repair,and replacement, key duplication, master key sytems, and biometric and electronic lock unlocking, installation, repair or replacement. Pearland Locksmith Pros can also help you access your business in the case of a lockout, make recommendations for further security solutions, and provide you with any type of lock you need. No matter what time of the day or night you have a problem with the locks on your home, business, or automobile, simply give Pearland Locksmith Pros a call and we will get there immediately. We have earned a reputation for dependable, affordable, 24/7 locksmith service. We have experienced locksmiths available day and night ready to address your emergency locksmith needs. Our 30 min response time guarantee ensures they will get to you fast. All of our mobile locksmith technicians arrives with 5+ years of experience and know exactly what to do to solve any problem you have with your locks or keys. Call us 24/7 and receive our up front pricing.